I don’t usually do this, but I made a video. And I’ve never done this before, but it’s an unboxing video. It’s a crapload of expired film. I spotted an auction on eBay I couldn’t resist. It was the second most I’ve ever spent on film at once (mostly because I don’t shoot 8×10), but it’s also the most exposures’ worth of film I’ve ever gotten at once. I decided the easiest way to make this post interesting was to make a short (well, sorta) video as I discovered the contents, so you all could see it at the same time I did. My attraction to this lot was two things: A bunch of 127 film — which, even expired, will be useful for playing with some old cameras I still have — and a ton of 4×5 sheet film. As I’ve started to think more about making pictures and less about playing with cameras, I’ve started to think more about using the Crown Graphic (which I’ve hardly mentioned before aside from this post) sometimes. While all of this film is expired — some of it very much so — I think, particularly in the case of the sheet film, I can make a couple test exposures from each box and get an idea how to get a good image from the rest. With fresh film costing $2-3 per sheet, just the two 100-count boxes of Tri-X (a ridiculously stable film in the first place) are worth what I paid for the whole lot and then some. A few things in the lot will probably go right back to eBay (or contact me if you’re interested) and hopefully help me drive that net cost a little lower still. 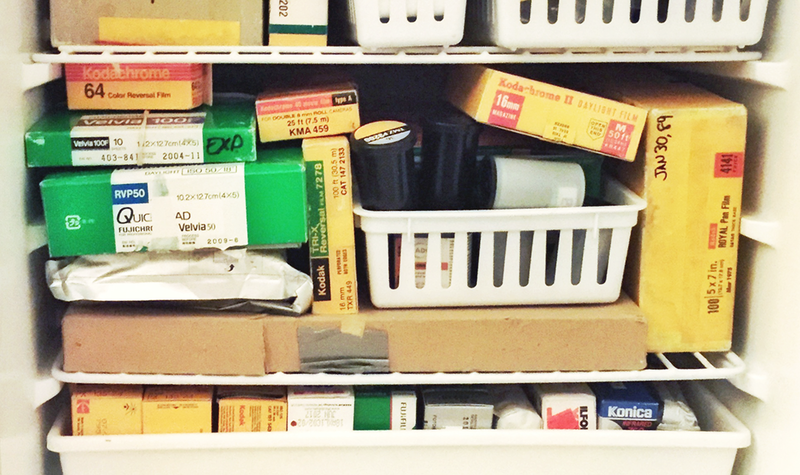 Some will probably wind up going into the mix for Expired Film Day next year, too. Kodak 4×5 Tri-X film 4164, 100 sheets, nearly full, 1989? Here is a little bit about that Arista halftone film, which is definitely a darkroom tool. The Leitz item is called an Eldia, and it’s a duplicator used for making positives from your negatives. Obviously it’s designed with black and white film in mind — I don’t think you’d get anything like you imagine if you tried to duplicate color negative film onto color negative (slide to slide might work, though). I found more about the Eldia duplicator here. While it sounds like it could be fun to play with, I have a lot on my shelf already, so this is in the pile heading back out the door.